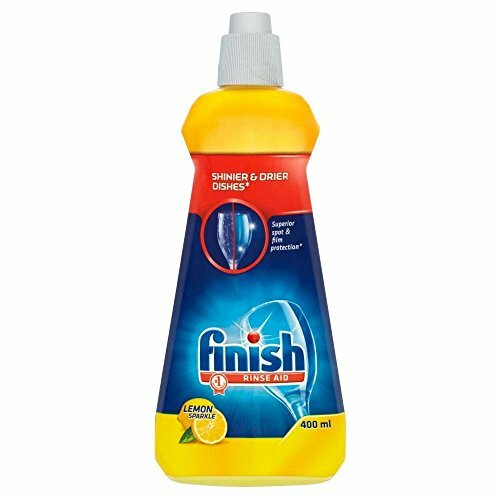 This Finish Shine & Dry Rinse Aid has a lemon scent and a new Quick-Dry formula that actively dries your dishes for a brilliant shine and leaves you without water drops, spots or limescale. For shine you can really see and dry dishes ready to use, add new Finish Shine & Dry Rinse Aid even on top of your multi-benefit tabs. Finish Shine & Dry, with its new Quick-Dry formula, actively dries your dishes for a brilliant shine. View More In Rinse Aids. If you have any questions about this product by Finish, contact us by completing and submitting the form below. If you are looking for a specif part number, please include it with your message. US Chemical Special Rinse Aid Additive Liquid, 1 Gallon -- 4 per case. US Chemical Energy Saver Rinse Aid Additive Liquid, 1 Gallon -- 4 per case. US Chemical Maxi Dri Rinse Aid Dishwashing Liquid, 1 Gallon -- 4 per case.